Foreclosure or Short Sale in Your Past? You May Be Able to Buy A Duplex | Your best resource for buying, selling, owning and investing in duplexes and duplex homes. If you lost your home to foreclosure or had no alternative but to do a short sale during the housing crisis that began in 2007, there’s good news. You may be eligible to buy again. Each type of loan has a waiting period following a financial event that prevents a duplex or home buyer from securing financing prior to the end of that time. Bankruptcy – Chapter 7 – To obtain an FHA or VA loan, you must wait two years from the date of the discharge. To obtain a conventional loan, you must wait four years. Bankruptcy – Chapter 13 –With permission from the court, you must wait one year for an FHA or VA loan, and two years for a conventional mortgage. 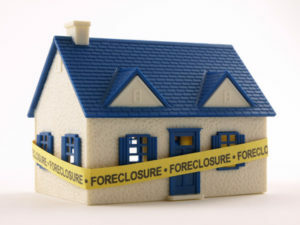 Foreclosure – Your clock on this starts ticking on the date the deed transferred, not the date of the Sherriff’s Sale. For an FHA loan you must wait three years, the VA requires a waiting period of two years, and you must wait seven years. Deed in Lieu – Three years after you transferred your property to the bank, you may obtain an FHA loan. The VA requires a bit less time, at two years. And a conventional loan requires a four year wait. Short Sale – From the day you closed on the sale of your property, you must wait three years to obtain an FHA loan, two years for a VA loan, and 4 years to qualify for a conventional loan. As you begin to consider the possibilities, you may consider that for many, buying and living in one unit of a duplex is a way to hedge against financial uncertainty. Income from the tenants helps offset not only the cost of home ownership, but usually, also reduces the owner occupants cost of living as well. More often than not, the owner who lives in his or her duplex ends up paying less in “rent” than he or she had when renting from another landlord.